Circlered Hellens (JV) obtained planning consent for a mixed use development in 2010 for A1/A2/A5 retail units. The site was a former filling station situated in a prominent location on Longlands Road in Middlesbrough. Construction works commenced on site in May 2011, with completion in Winter 2011. In depth consideration was required to ensure the building was in fittng with the existing surroundings. The area has been the subject of substantial residential development. The scheme comprised of three retail units benefiƫng from A1/A2/A5 consent. The three units varied in size with the largest having a convenience operator as its primary target as a tenant with an overall floor space of 4000 sq ft. The two smaller units were both 1240 sq ft with the capability of being combined to make one larger unit. An anchor tenant was secured for the largest unit (4000 sq ft), being let to Tesco Stores Limited. 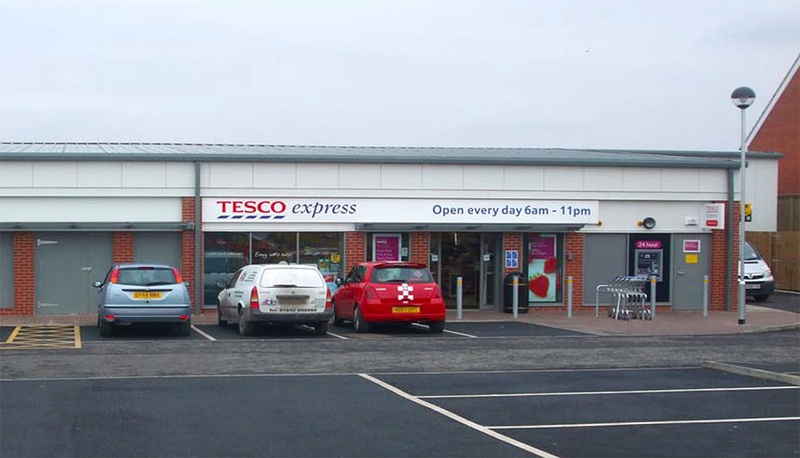 Following on from Tesco occupying the largest unit, operating as Tesco Express, leases were secured on the remaining two units.